Hawaiʻi Island police have charged a 35-year-old Honoka’a man with a variety of felony and misdemeanor offenses in connection with a domestic violence incident that occurred in Hilo Thursday evening (August 17). Bronson Lee Ganigan was charged with kidnapping, use of a firearm in the commission of a separate felony, first-degree terroristic threatening, abuse of a family or household member, cruelty to animals, second-degree assault and second-degree reckless endangering. South Hilo patrol officers were summoned to the Kaūmana City neighborhood on a domestic violence incident involving the use of a firearm. The victim reported being held against her will on Tuesday morning (August 15), until Thursday when she was able to escape and run for help approximately a quarter-mile away to a family member’s residence. At one point during this incident, the suspect was said to have beat and killed a small dog. 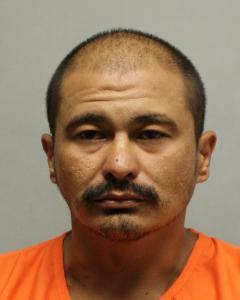 Ganigan is being held at the Hilo cellblock in lieu of $34,500 bail pending his initial court appearance (August 21). Anyone who may have any information about this incident is asked to call the Police Department’s non-emergency line at (808) 935-3311 or Detective Christopher Ragasa of the Juvenile Aid Section at (808) 961-8843 or Christopher.ragasa@hawaiicount….